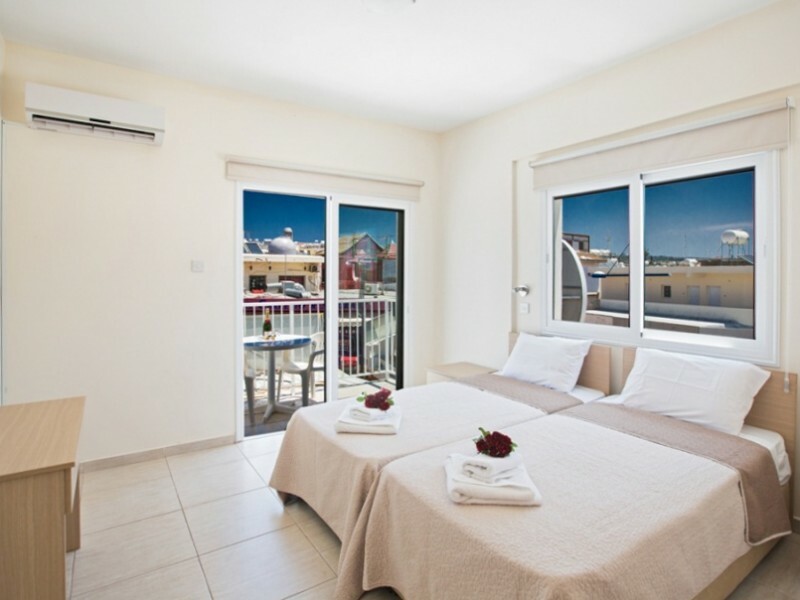 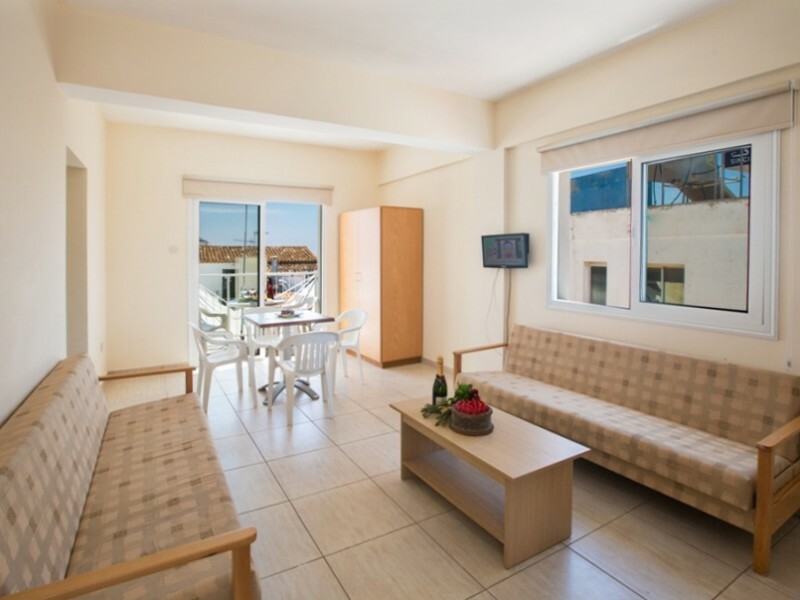 This apartment offers excellent value for money and is located in the heart of Ayia Napa, just a few meters away from the nightlife, the area where all the main bars and clubs. 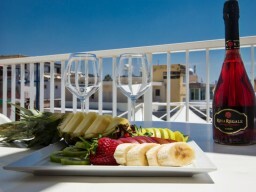 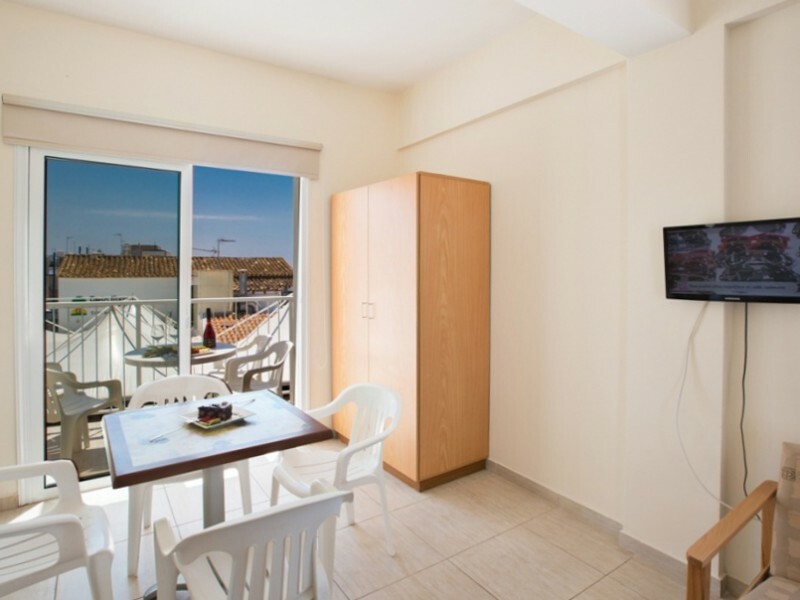 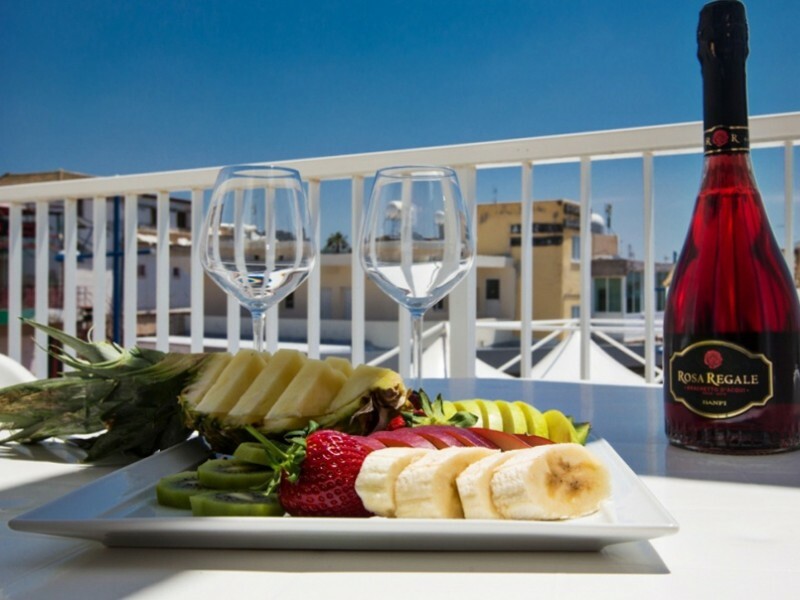 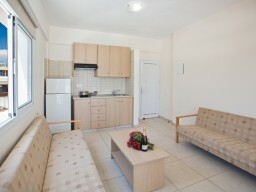 The apartment is a great choice for young people and couples who want to be in a busy location in the center. 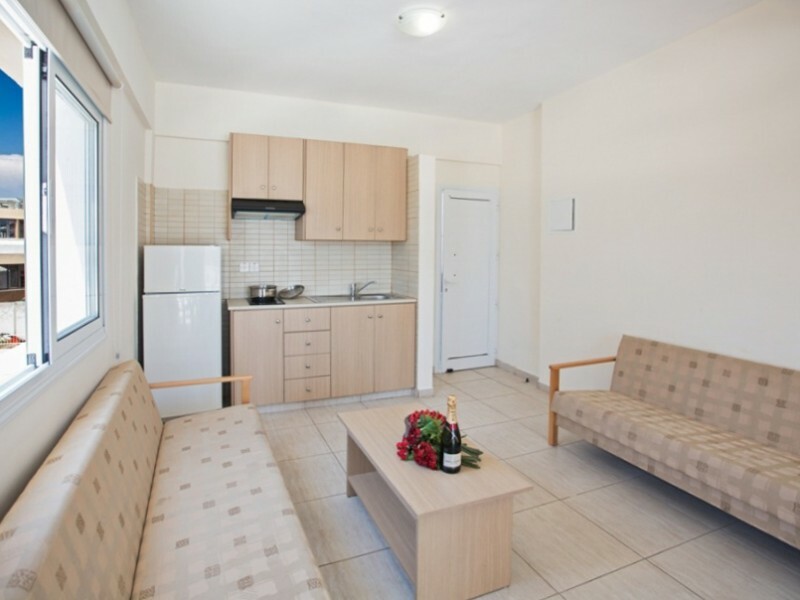 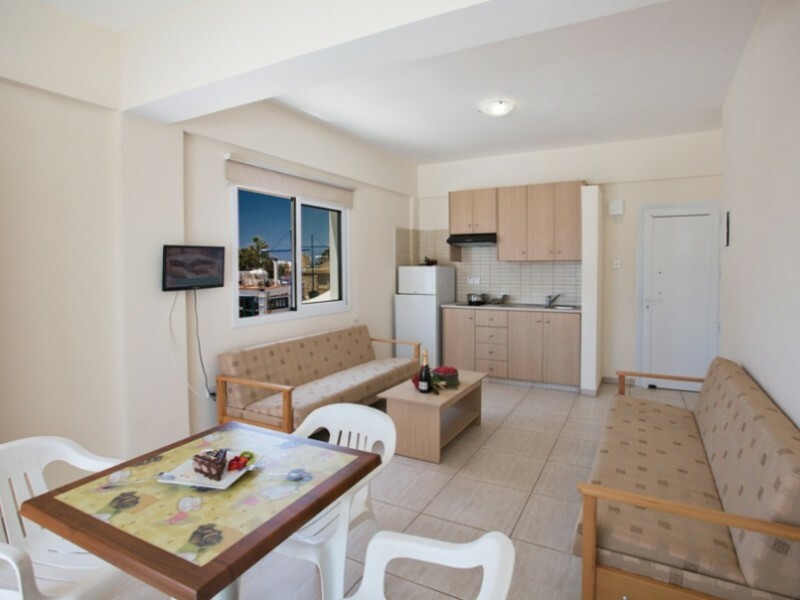 The apartment is furnished and equipped with everything needed for a comfortable stay. The living room has 2 sofa beds, dining table and chairs and a flat-screen TV with local channels. 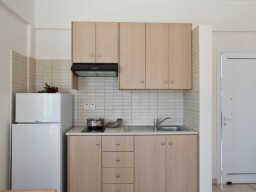 There is also a small kitchen with a stove and fridge-freezer. 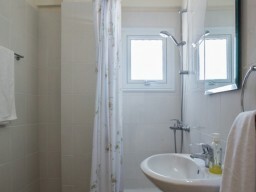 The master bedroom has 2 single beds and wardrobes, and a bathroom with a shower. 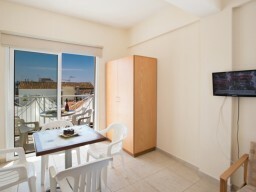 The apartment also has an exterior balcony. 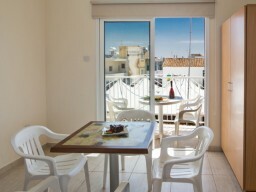 Free Wi-Fi, air conditioning.